There was a recent discussion on the lore, to which I got a strong reaction from Popgoes as to where the FNaF4 setting took place on the timeline. I wanted to know more, and so got into a discussion. It became clear that this time inconsistency was due to holding a dream theory, so this discussion became more about understanding the dream theory in the end. While there are still too many holes in the dream theory for me to accept it, I found the conversation to be very worthwhile. In the hope that someone finds something in this that could solve the lore, here is the log of the discussion. [17:39:01] Kizzycocoa – Ok, so, perhaps we should start with a brief summary. What do you think happened in FNaF? Where are all the games set in relation to each other? [17:40:22] Popgoes – Alright well personally, I do have a stubborn belief of the dream theory, which of course means everything is a dream of the FNAF4 bite victim. This doesn’t mean anything can happen, because it is a dream. It means anything that is shown has an explanation from the child’s past or what he has seen, and not necessarily something that has happened through a timeline of events. [17:40:51] Popgoes – However, I do have a timeline of what happens WITHIN the dream, and when the events are shown. Like, how the child puts it together. [17:41:03] Popgoes – Which is pretty similar to a normal timeline. [17:41:48] Kizzycocoa – The words I have for the theory are pretty concise, yes. But if there’s a story within the theory, it’s something that can still be talked about, I find. [17:42:01] Popgoes – Okay that’s good. I have a lot to talk about regarding it. [17:42:39] Kizzycocoa – But most will just go “dream” at any inconsistency. [17:43:52] Kizzycocoa – But in any case, we can discuss our theories easy enough. I’d discuss it from a point of reality, you’d do it from a reality within the dream. It’s not actually so incompatible. [17:44:18] Popgoes – Alright, no problem. If you don’t mind me starting, why do you think the purple man is purple? [17:44:47] Kizzycocoa – I think of two things as potential factors, though as per one of my site’s “Observations”, I’m inclined to one over the other. [17:45:00] Kizzycocoa – One is light. he is always purple when it is night, yet pink in the daylight. [17:45:18] Kizzycocoa – The other, which I believe in more, comes partially from the book, but also the newspaper. [17:45:46] Kizzycocoa – Pink is when he was disguising himself. Purple is when he let go of the disguise. [17:46:04] Kizzycocoa – The book basically saying, he got a lot thinner and shallower after he was first caught then released. [17:46:15] Kizzycocoa – But the newspaper states he gets caught, so there is some crossover. 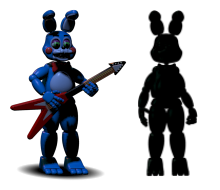 [17:46:39] Popgoes – You think that’s related to his colour? [17:46:49] Popgoes – I mean, WHY those colours? Why purple? [17:47:08] Kizzycocoa – Hmm, that’s an interesting question. I suppose I’d also go for the suit. [17:47:18] Kizzycocoa – The colour of the uniform itself. [17:47:36] Kizzycocoa – What do you think, then? [17:49:04] Kizzycocoa – Hmm, that is true. This would link to the theory of his colour portraying night and day, or in FNaF4’s case, light. [17:49:09] Popgoes – I believe that the child saw a man put on another employee in a suit, while being out of the light. Which made him look purple. this setting him in stone as a purple man, who stuffs people into suits. [17:49:22] Kizzycocoa – I see, yes. [17:49:39] Kizzycocoa – We should probably clarify this quick, what parts of what games do you see as dreams? [17:50:46] Kizzycocoa – Wait, three as well? [17:51:07] Kizzycocoa – Aaaah, I see. Yes. [17:52:13] Kizzycocoa – So, fnaf4’s minigames are the only “real” part of this, and the rest of the content exists within the child’s mind? [17:54:13] Kizzycocoa – I see. So, essentially, for the sake of the lore, all content in FNaF 1-4 have a consistent lore influenced by the fnaf4 minigames. [17:54:53] Kizzycocoa – In essence, putting all FNaF content in a little lore bubble, and the FNaF4 minigames in a separate influential bubble. [17:55:00] Kizzycocoa – I see, ok.
[17:55:13] Kizzycocoa – Well, how does the colour relate? Shall we go to that? [17:57:53] Kizzycocoa – I see. So it goes 2, 1, 3, 4, and it goes like that as this child is building this story, but getting more anxious as he does so? [17:58:57] Kizzycocoa – I suppose the lighting does get progressively darker, except in 3 where it becomes more green. [17:59:27] Kizzycocoa – The games themselves also get progressively creepier as you go along. [18:00:06] Popgoes – Actually, it’s more that he dreams of FNAF1, then 2, then 3. Gets bitten, has nightmares of FNAF4. [18:00:21] Kizzycocoa – Oh, so these dreams are before any bite, too? [18:01:14] Kizzycocoa – So, the question becomes then, what order are these dreams in? [18:02:12] Kizzycocoa – Is it game order, or is it the timeline order? [18:02:41] Kizzycocoa – And further, what of the dates? Are these dreams a day apart, or years apart? [18:03:03] Kizzycocoa – Aaah, I see. So he dreams in game-order. [18:03:11] Kizzycocoa – Ah, yes. Ok. I’ve got you. [18:04:05] Kizzycocoa – One or the other. I think 2 itself is an utter mess frankly. It messes with the timeline in so many ways. [18:04:40] Kizzycocoa – Ok, so, then there’s the question I’ve had on my mind for a while, but wanted to find the best time to ask. What of the night 6 minigame? [18:04:47] Popgoes – For which game? [18:04:51] Kizzycocoa – The one where the child flatlined? [18:05:08] Kizzycocoa – What are your thoughts there? [18:09:24] Kizzycocoa – I see. So then, what do you make of the box? It happens after the brother would have been pulled, and supposedly contains the magical key to the lore. What is happening there? Is it a dream? Real? [18:12:26] Kizzycocoa – But still, this would be after the plug was pulled. Same with nights 7 and 8. Do you think the timing isn’t important? How could he die, and we still have is content? [18:13:10] Kizzycocoa – That’s just, what I’m thinking right now. The timing of this box, in relation to the flatline. As well as the other two nights. [18:13:46] Kizzycocoa – “Are custom nights canon?” etc, it’s a big tin of worms there. [18:14:14] Kizzycocoa – Ah, I see. Got you. [18:14:55] Kizzycocoa – Ok, so that’s the general theory. So, we should probably discuss about FNaF4 a bit more. [18:16:27] Kizzycocoa – Now, Scott made a non-canon version naturally, but he also had some strange design choices. He kept the nightmarionette and nightmare mangle out of the official release, while adding Balloon Boy to both. Many see this as saying the nightmarionette and nightmare mangle not being canon. I suppose the question is, why is this? [18:17:04] Kizzycocoa – Like, if it is all in his head, why is there a distinction? Or, do you even think there is a distinction to be made? [18:22:56] Popgoes – He is the dream within the nightmare. [18:23:07] Popgoes – Oh and he doesn’t have “nightmare” in his name, of course. [18:23:42] Popgoes – Five fingers, breathing, and being inside a house. These are things that humans do, not animatronics. It’s obvious that the child has merged the fears together. Do you see? [18:25:35] Kizzycocoa – I suppose, but then there’s BB. how does BB get involved then? BB isn’t seen by this kid at all. [18:26:03] Kizzycocoa – Also don’t worry, I’ll get the links in there. get them all formatted properly! [18:26:45] Popgoes – BB isn’t seen by the kid, that’s right. But neither is Foxy, neither is Freddy. [18:27:18] Kizzycocoa – But then, where does BB come from? [18:28:34] Kizzycocoa – Hmm, I suppose we’d need to go into who BB is. Is he a toy, or something different? [18:29:04] Kizzycocoa – Obviously, there is no Mangle. but there’s also no BB. [18:30:17] Kizzycocoa – …hmmm, I see. [18:30:29] Kizzycocoa – Why did I think whole collection. hmm. [18:31:05] Kizzycocoa – actually, that might be Matpat’s videos, saying she has a complete collection. [18:32:13] Kizzycocoa – Ok, so still, I find it odd that we never see any BB animatronic myself. [18:32:52] Kizzycocoa – Like, Scott even managed to worm Mangle into it in the least ceremonious way possible. Why not BB? [18:33:17] Kizzycocoa – Not really something that can be answered, I suppose. not without Scott. [18:33:38] Kizzycocoa – still I can see the theory. Read both of those articles myself. [18:34:34] Kizzycocoa – Why do you suppose Spring Bonnie doesn’t appear? [18:35:00] Kizzycocoa – He does. the one Purple Guy puts into a suit. [18:37:06] Kizzycocoa – I suppose, I’d just expect him to take notice of the second character on stage, if it is all his dream. He dreams about some kid with a balloon on the sidewalk, but not the giant robot bunny next to the giant robot bear. [18:37:16] Kizzycocoa – It seems a bit strange, in that context. [18:38:35] Kizzycocoa – He doesn’t go to the stage at all, he’s terrified of them. [18:38:45] Kizzycocoa – He won’t let you get near the stage. [18:39:19] Kizzycocoa – Woah, wait, what? [18:39:53] Kizzycocoa – Nice image. [18:40:10] Kizzycocoa – Like, the minigame kid does talk of the kids going missing, and that they get stuffed. [18:40:14] Popgoes – The dream theory doesn’t say “kids were never killed” by the way. What do you think the child saw that made him terrified of humans wearing suits? [18:40:27] Kizzycocoa – But if FNaF1-4 are a dream, where were the kids stuffed? [18:41:49] Popgoes – So, in one of those. [18:42:36] Kizzycocoa – I see. so, how many children do you think were murdered, and in what locations? [18:42:49] Kizzycocoa – Do you think the minigames that show the dead kids are correct? or, imagined? [18:53:30] Kizzycocoa – I mean, if we do look at some of the games, it is very specific. there are 5 kids strewn around the FNaF2 location. Is this the situation, perhaps? [19:02:17] Kizzycocoa – I see. From there, I find a small issue. The kids were stuffed into the FNaF1/withered suits, but we see them in the FNaF2 location in the minigames. assuming the lore within the entire series is consistant and doesn’t contradict, wouldn’t this imply more? [19:02:37] Kizzycocoa – Or, do you think, much like how Scott deviated from canon in TSE, that this is a storyteller’s slip-up? [19:04:31] Kizzycocoa – So, in the dream, there are more dead kids than in real life? [19:06:10] Kizzycocoa – But in that dream theory’s timeline of the dream, there are 5 kids killed in FnaF2’s location, but also in the previous location left to rot. [19:06:13] Kizzycocoa – Thoughts there? [19:07:05] Popgoes – What makes you think that 5 kids were killed in the fnaf2 location? [19:07:17] Kizzycocoa – The FNaF2 minigames. [19:08:57] Kizzycocoa – Wait, three? [19:09:09] Popgoes – Have you played the go go go minigame…? [19:09:30] Popgoes – You play as Foxy, and you move to the children. [19:10:45] Kizzycocoa – So, you’re saying he’s seeing five dead children everywhere, and their appearance has no relevence in any timeline sense to events within the dream? [19:11:35] Popgoes – It’s not five children, then five different children, then five children AGAIN. It’s all the same set, and they are appearing because of the sighting. [19:12:12] Popgoes – The puppet “giving gifts” to children, is actually happening in a real life situation. He’s giving boxes to kids, and they they are opening them up to get masks to wear. [19:12:31] Kizzycocoa – I see. it’s an interesting take on it. I’ll personally raise my hands in the air, I didn’t expect the theory to go in this kind of direction. But ok, I can go along with it. [19:16:52] Kizzycocoa – I see. Why do you think he was designed to look the way he does? he’s very off-tone to his toy counterparts. Why is this so? [19:17:55] Kizzycocoa – but for the “hero” of the story, he does seem to be the strangest of the bunch. he doesn’t have any hero quality to his, visually. [19:19:28] Kizzycocoa – yes. He’s much like the Flumpty of the story. [19:19:35] Kizzycocoa – except not as evil. [19:21:21] Kizzycocoa – yeah, the puppet makes very little sense in all theories. why would a company group a puppet into their animatronic shows, or for dreams, why does the Puppet look so, strange. [19:22:04] Kizzycocoa – but in the dream theory you’re proposing, the design is more interesting to look at. [19:23:51] Kizzycocoa – So, there is a line in FNaF, one that’s seen throughout. “IT’S ME”. it’s iconic of the first location in general, but doesn’t seem to have any connection to the second or third locations. Do you have any thoughts there? [19:24:55] Kizzycocoa – Ah, that’s a thought. [19:25:07] Kizzycocoa – in this timeline, FNaF1 is waaaaay before any bites, correct? [19:25:33] Kizzycocoa – So, what’s happening there? how is he pre-emptively making himself the bite victim? [19:26:51] Kizzycocoa – I’m just wondering, why does he have this strong thought that he is going to be bitten? is that addressed? [19:28:34] Kizzycocoa – I see. and the “IT’S ME” is him saying he is the victim? but, why then is it only in FNaF1’s location? 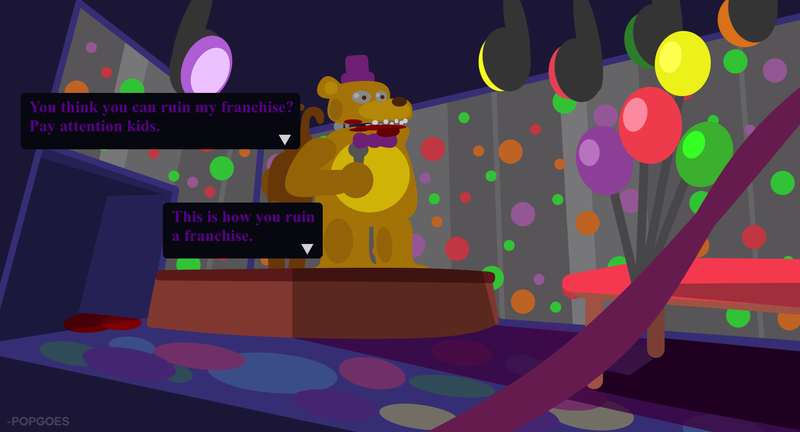 [19:28:43] Kizzycocoa – Surely then, it would be in the FNaF2 location? [19:29:12] Popgoes – It’s in the FNAF2 minigames right? [19:29:30] Kizzycocoa – no, it’s only in the FNaF2 “dream” segments. [19:34:02] Kizzycocoa – I see. I can kinda see how that would work. My theory there is it’s where all the child murders occured, in particular the Puppet and the 4 dead children. It’s probably more tied to the Puppet in the timeline theory. [19:35:25] Popgoes – Four dead children? Isn’t there always five? [19:35:31] Kizzycocoa – I’m just trying to see every base covered in this dream theory, in part to see where it will lead. because you made a strange case for me, which was that FNaF4 took place after FNaF2. So I wanted to get as much information as I could, to refer to it. [19:35:31] Popgoes – Where do you get four from? [19:35:35] Kizzycocoa – Five, yes. sorry. [19:36:03] Kizzycocoa – though that brings up a thought. In game, there are bare endoskeletons. two of them. are they haunted? [19:36:58] Kizzycocoa – freddy, foxy, chica and bonnie. then there’s golden freddy. but then, there’s the endoskeleton. [19:37:22] Kizzycocoa – that’s something I’d like to know, too. why is Golden Freddy a thing? why not just, Fredbear? [19:38:20] Kizzycocoa – Yes, but why does he exist in the first place? in this dream lore, freddy and friends exist, but why not simply use Fredbear instead of Golden Freddy? [19:39:39] Kizzycocoa – yet, Fredbear does. that’s strange. [19:40:35] Popgoes – so he makes him freddy. [19:40:54] Kizzycocoa – of course though, this means that on night 3(?) of FNaF4’s minigames, he sees this character that’d go on to be Golden Freddy, but he made up Golden Freddy for FNaF1. so, what’s going there? [19:41:26] Kizzycocoa – I mean, perhaps this has happened before, but do you think this event directly leads to his creation? [19:41:30] Popgoes – He never dreams of Fredbear in FNAF1, 2, and 3. Is that what you’re asking? [19:42:12] Kizzycocoa – no, I’m saying that, if this direct event is what inspires Golden Freddy, that’s just a few days away from the party. but, Golden Freddy appears in his FnaF1 dream. [19:42:31] Kizzycocoa – which if I’ve got this so far, happened way before all of this. [19:43:20] Kizzycocoa – are they dreams that are happening during the minigames? months before? [19:45:15] Kizzycocoa – ah, so the dreaming happens live, in the FnaF4 minigames? [19:45:51] Kizzycocoa – wait, totally spread out? [19:45:59] Kizzycocoa – but, it’s counting down days until a party. [19:47:57] Kizzycocoa – Why do you think this is in your theory? [20:09:43] Kizzycocoa – Wait, his friend in the real world? [20:09:53] Kizzycocoa – that’d sound a lot like Fredbear. [20:11:55] Kizzycocoa – Oh, the plush? [20:12:21] Kizzycocoa – I presume, Fredbear is simply his imaginary friend in your timeline, correct? [20:13:19] Popgoes – Oh yes, that’s purely to keep him in the scene so he can talk to the kid. [20:13:23] Kizzycocoa – I mean the Fredbear plush’s appearances. [20:13:45] Kizzycocoa – so, his being present is just a visual aid, and the strange places he gets to has no plot relevence? [20:16:03] Kizzycocoa – I see. Well, I find that hard to agree with. Scott has said there were no easter eggs in FNaF4, and all details are in there for a purpose. [20:17:14] Popgoes – Okay, so there’s a car outside the restaurant because it’s the killer’s car? [20:17:42] Kizzycocoa – I actually had a working theory for that for some time. [20:17:57] Popgoes – Okay, so Fredbear’s appearances mean what? [20:19:04] Kizzycocoa – he’s done all these scenes with purpose, and Fredbear being everywhere and everything is also with purpose. he’d have to place him in these scenes, even making him some flowers, of all things. twice! [20:20:46] Popgoes – Right, so what do they mean? [20:21:47] Kizzycocoa – I personally think, in the frame of it all, he has to be some form of imaginary friend, or perhaps a ghost of some sort. [20:22:04] Kizzycocoa – but in the dream theory, I wanted to know what his meaning is. [20:22:40] Kizzycocoa – I see. ok, so, which do you think he is? ghost, or imaginary? [20:24:35] Kizzycocoa – ok so, he is an imaginary friend. if I may ask, FNaFWorld. do you take that as canon? [20:24:48] Kizzycocoa – can we agree right now, FNaFWorld is not canonical? [20:25:20] Kizzycocoa – Ah, yes. drawing attention to FNaF3’s games. [20:25:59] Kizzycocoa – thoughts there? [20:26:56] Kizzycocoa – yeah, I don’t know how the minigames fit into the lore, exactly. [20:27:39] Kizzycocoa – well, the language sure ties them together. the clocks are all the minigames, and the discussion from Fredbear and the eyes are all about putting the pieces in place for some other player or entity. [20:40:31] Kizzycocoa – nah, the 3D clocks don’t point to that time. the time seems to be almost irrelevent. but clocks, it seems significant. [20:40:53] Kizzycocoa – Still, good. FNaFWorld is an alltogether other beast to tackle. [21:47:54] Kizzycocoa – Ok, so, in FnaF3, we see the phantoms. the setup is very similar to FNaF4, but Mangle is there, and bonnie is not. Do you think there is a reason for these Phantoms being there? [21:49:47] Kizzycocoa – they seem to harken to the older days of the location, before FNaF2. there are no toys, save for Mangle and BB, the two with the strangest development cycle. [21:53:03] Kizzycocoa – yet their timing in the games always seems a bit off. that, and their involvement overall. they’re in the minigames and take unique roles within them. [21:58:47] Kizzycocoa – What is your theory on them? [21:58:56] Kizzycocoa – My problem there is the teeth, myself. [22:00:21] Kizzycocoa – hmm, I think the feet night be telling. One more moment…. [22:03:19] Kizzycocoa – Still, why not add it to the real model too? [22:03:26] Popgoes – To what model? [22:07:15] Kizzycocoa – yeah, definitely. though that then begs the question, why also Shadow Freddy? [22:07:34] Kizzycocoa – and further, why does Shadow Freddy appear in FNaF3’s office? [22:08:03] Popgoes – Isn’t there still debate about if it’s Shadow or golden freddy? [22:08:27] Kizzycocoa – the code says shadow. [22:17:24] Popgoes – Why do you think shadow freddy is in the office? [22:18:39] Kizzycocoa – Aside from the easter-egg aspect, I’m not too sure. [22:21:14] Kizzycocoa – I think he was trying to release them, myself. I don’t think the bite victim, in the non-dream theory, actually posessed any kind of animatronic. [22:21:34] Kizzycocoa – I think he was just, lost. and then they had to “help” him in FNaF3’s minigames. [22:22:17] Kizzycocoa – I think it does for the original 4 and golden freddy. [22:22:25] Kizzycocoa – but no-one else. [22:31:45] Kizzycocoa – yeah, Golden Freddy seems to always be the outlier. [22:33:23] Kizzycocoa – still, I think this has gone well. I understand your position a lot more since last time, and there are definitely avenues I’d like to look at here. [22:35:19] Kizzycocoa – I do respect the faucet of the Dream theory that actually tries to make sense of the lore, even though it is a dream. So many just instantly go “no because dream”, but I feel that’s such a cop-out, that I’ve taken that strong a stand on the site. But people who think it’s a dream, and actually go out of their way to explain the stuff happening within the dream, I have nothing but respect for. [22:38:36] Kizzycocoa – Ok, so, to cap this off, I’ve got three questions that should round this off nicely. So, let’s say Scott has just read this discussion on the site. What would you like to ask him, if you could? [22:39:09] Popgoes – Can you please play my fangame? [22:39:28] Popgoes – No, I’d probably say, will you ever give us a solid answer, and if so, how would you do it? [22:41:08] Kizzycocoa – actually, that leads very nicely into my second question. Presuming the readers want to read more of your words, where can they find this sort of content? or indeed where could Scott go to find your game to play? [22:42:43] Popgoes – Sure thing. This is the Game Jolt page. [22:42:49] Popgoes – Here’s the trailer. [22:44:17] Kizzycocoa – I imagine you’ve had tons of offers from young entrepeneurs, offering professional beta-playtesting experiences with a very rich and long CV of past works. [22:45:32] Kizzycocoa – Probably got enough to test Popgoes, at least. still, sounds good! [22:46:14] Kizzycocoa – I guess I’ll ask one more question. Why Popgoes? Is it directly inspired by the Puppet’s music box? [22:47:14] Kizzycocoa – The wording of the music when he’s in the hallway, that is. [22:48:35] Popgoes – Popgoes the Weasel was a placeholder name. The plan was to have him be a successor to the Puppet, which gave him that. Now, it’s simply because I’ve found weasels in my garden, and all of the animatronics are based on garden animals. Popgoes does do similar things as the Puppet, but the connection isn’t as important. The game features a lot of wordplay now to match it. [22:50:20] Kizzycocoa – Ah, I see. Very nice! 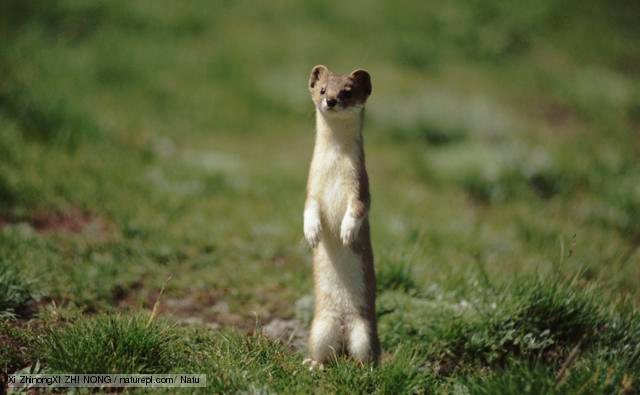 I’ve never actually seen a weasel before, so I’d not know if that’s a problem. 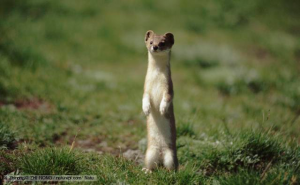 Do the garden weasels give you much bother?